First a little context - I am a cardiothoracic anesthesiologist working at a hospital in Philadelphia. Recently, I reconnected and was having dinner with a childhood friend, who happened to have founded a medical market research company many years ago (full disclaimer, the friend is Paul Golota, co-founder and executive vice president of MedSurvey). When we started discussing his line of work, he asked me if I have ever participated in paid medical market research surveys. My answer was “yes, but I rarely do it anymore.” After discussing my string of bad experiences with survey companies, he asked me if I would consider authoring a blog post about my hesitation to participate and possibly outline a few suggestions that would make participating more appealing. This is an attempt to do just that and give the market research industry a physician’s perspective on participating in paid medical surveys. Usually, my day starts at 5:00 am. I wake up, get ready, and I’m out the door. Since my line of work does not involve a desk or computer, it is difficult for me to regularly check my email. As my day progresses, I can only manage a few glances at my phone, making mental notes of which emails I need to respond to later. At times, I’ll notice an email from an unrecognized sender with the promise of a monetary incentive if I respond to a survey. In the past I would make a note and add it to my list of things to do after I leave the hospital. Then when I would get home around 6:30 pm (unless I end up catching a case that takes me late into the evening) I’d spend an extra hour completing the survey in hopes of earning some extra cash. For a young physician with a typical six-figure student debt, the prospect of making some extra money for an hour of survey time is very enticing. Would I have completed these survey otherwise? Franky, no. While sparing an hour to complete a survey seems benign, it may only be one of a couple hours I have to myself in a day. After 12 hours on the job, I would rather spend my valuable free time with my family or do any number of meaningful activities that provide a net yield of something either tangibly or emotionally satisfying. Additionally, although the survey is related to my profession, it is entirely unclear what will become of the information provided. Answering detailed questions about my practice habits leaves me slightly uncomfortable if I am not told what the information will be used for. Most surveys simply ask a series of questions, not providing the respondent with any additional information. However, the compensation for my time and information was still incentive enough. So it was deeply frustrating that many months after completing a survey, I still would not have received the promised incentive, or even a communication regarding its status, from those who administered it. On an hourly basis, completing medical/pharmaceutical surveys can prove to be quite profitable. But the problem remains: will the market research company deliver on its promise to compensate? Will you actually receive a payment for your time? Will my participation help further my field of expertise? Currently, I receive several survey invitations per day, but having no way to verify the legitimacy of the sender, and given the poor experiences I’ve had in the past, they all end up in my trash folder. I cannot risk spending an hour or more of my limited and valuable time if there is a chance I will not be compensated as promised. But the problem remains: will the market research company deliver on its promise to compensate? After my conversation with Paul I became curious about my colleagues experiences with surveys, so I decided to question a few . Many had indicated that they regularly ignore opportunities because they assume that this is some sort of scam (without any distinction for individual panel companies). Others were more passionate about sharing their experiences of being mislead about compensation, or at the least, waiting months and making several inquiries to receive payment. At least I knew I wasn’t alone in my experience. In one case, a young gastroenterologist who recently completed his fellowship told me he used to actively seek to complete medical surveys in an attempt to earn some additional income, but eventually stopped after being constantly “screened out.” After a long day, he would commit 20 minutes to answering “pre-questions.” At some point (almost always after a substantial amount of time in), he would be thanked but told he doesn’t quality for the survey. 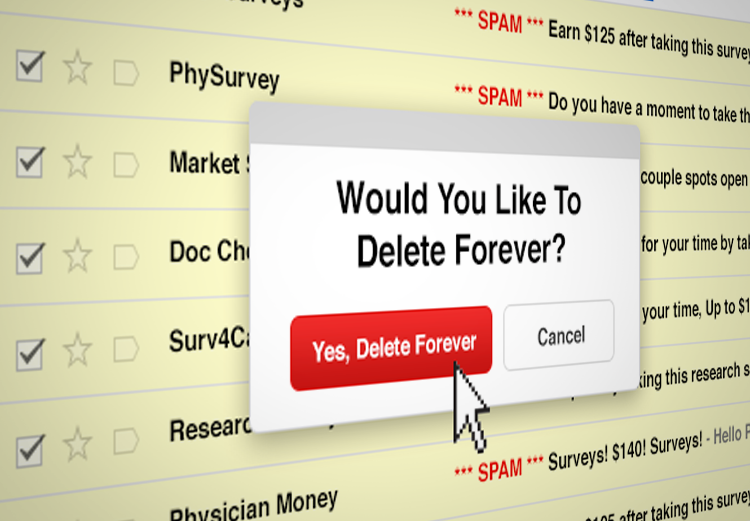 Now, he simply deletes any survey invitation as a result of constant false promises and wasted time. So what’s my advice to survey companies? Simple. Create a better experience for the survey respondent - one that takes into account the value of our limited time, as well as the experience we provide answering questions. While I can appreciate that compensation may take some time to process and that screening questions are part of the research process, surely there can be better ways to approach both than the poor experiences I have outlined in this article. The first company that can do that will not only have me as a participant, but as a champion. So what’s my advice to survey companies? Simple. Create a better experience for the survey respondent. If possible, let physicians know how the data they provide in the survey will be used. While there are certainly some limitations about sharing this type of information, being as transparent as possible would likely make respondents feel more comfortable with participating. Clearly state the time it will take to receive compensation on the invitation and then follow through with actually paying on time. It would also help if the compensation could be delivered within a reasonable time frame - let’s call it a couple of weeks instead of a few months, which is more typical. Invite physicians who are more likely to qualify for a survey. Ideally, it would be nice to be pre-qualified for a survey, although this is probably rarely possible. In the likely event of needing to ask screening questions, limit it to a few that are necessary, and make the respondent aware how long the screening portion will take to complete. Born and raised in Philadelphia. Dr. Shah earned his medical degree from the New Jersey Medical School. After, he transitioned to the Hospital of the University of Pennsylvania for further training in Anesthesia and Critical Care, where he stayed on for an additional year to complete a fellowship in Adult Cardiothoracic Anesthesiology, with a focus on anesthesia for electrophysiology procedures. Currently he works at an academic center where his scope of practice includes anesthesia for cardiac surgery, thoracic transplantation and electrophysiology research, specifically ventricular tachycardia ablation. When not at work, he enjoys spending time with his wife and daughter. Together, they travel frequently and enjoy trying new restaurants throughout the city.